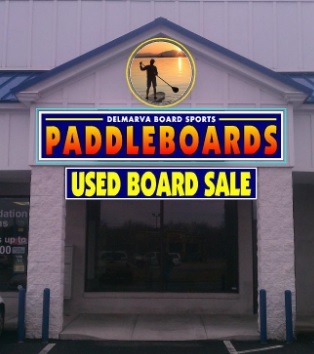 NO HAGGLE Pricing on used boards, tax free. Prices listed are cash or check prices. Add 2% for Credit Card payments. All board purchases come with FREE Excursions for Life and FREE local delivery (within in 20 miles of Dewey Beach or Rehoboth Beach). We do not ship used boards. These are only for customer pickup or local delivery. You're welcome to rent a board for $25 to try it out.